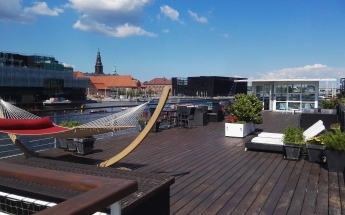 CPHLIVING floating hotel is located in the center of Copenhagen City, within walking distance from everything your heart might desire. 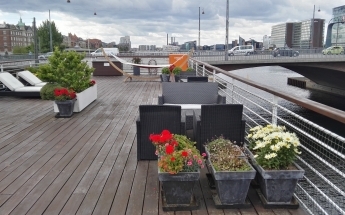 It presents a rare opportunity to be close to the pulse of the city and relax by the water. 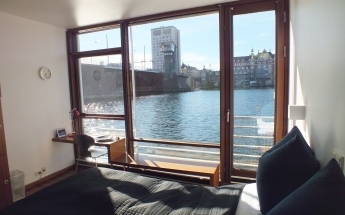 All 12 double rooms have panoramic views of the habour and Copenhagen city center. The passing ships, the sound of water and the seagulls tune your mind to seek new adventures in the city that awaits you on the wharf. 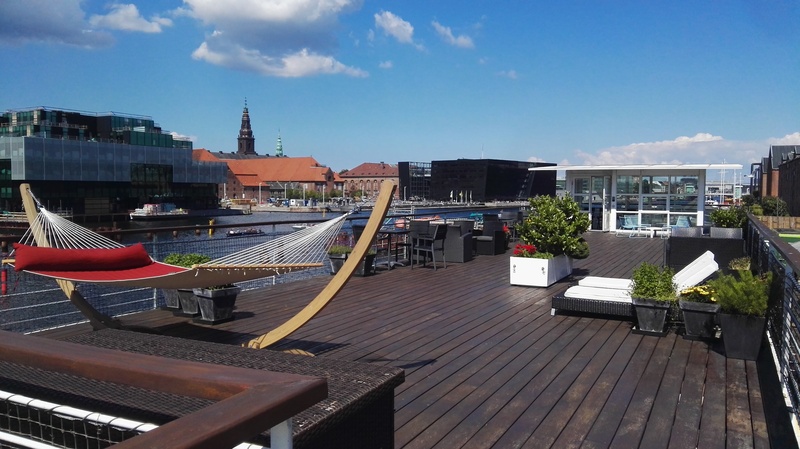 For exclusive use by its guests, Hotel CPHLIVING has a huge rooftop terrace with great views of the city skyline and the habour. 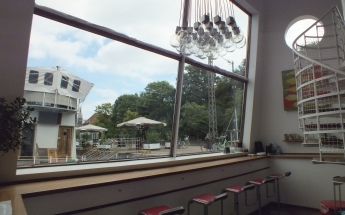 It is equipped with tables, chairs, sun beds, and plants. 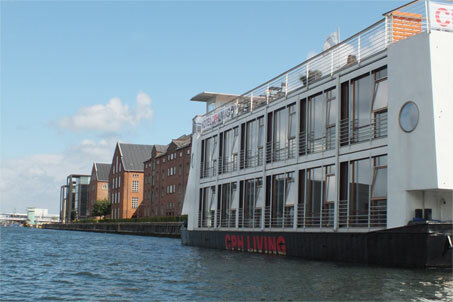 CPHLIVING floating hotel is a boutique hotel, decorated with a combination of specially designed furniture and Danish furniture classics. 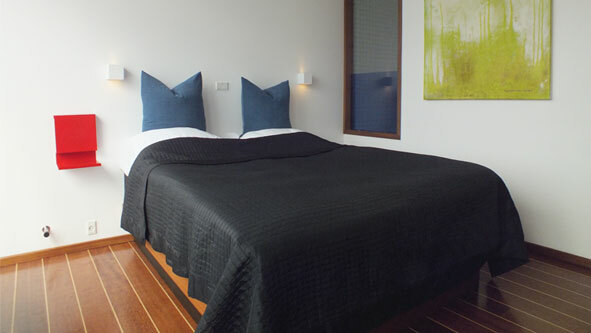 The general style is maritime, the use of precious woods are a recurrent theme throughout the hotel. Following the Scandinavian tradition, we want the rooms to appear with a clear and simple look. 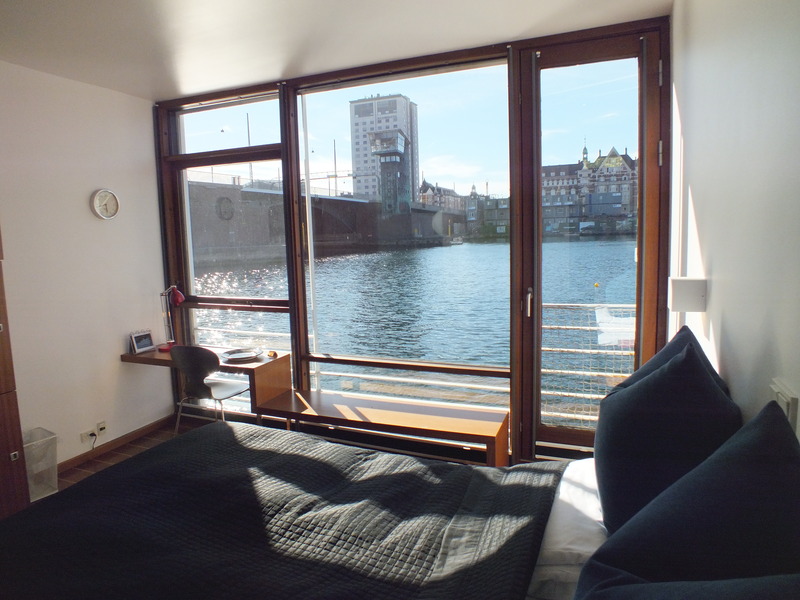 The side of the room towards the water is an entire glass wall. 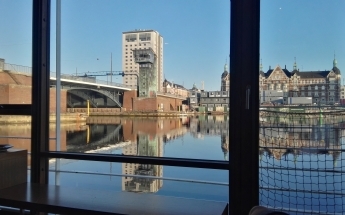 All rooms have panoramic view towards the habour and city center. The furniture is unique in its design – it does not take up too much space, and it is simple and practical. Precious wood is used in floors, windows and furniture in all rooms. Details in red are used consistently on board the ship. The bathroom is designed in sea colours with glass elements in green and blue, and with the use of chrome fittings. 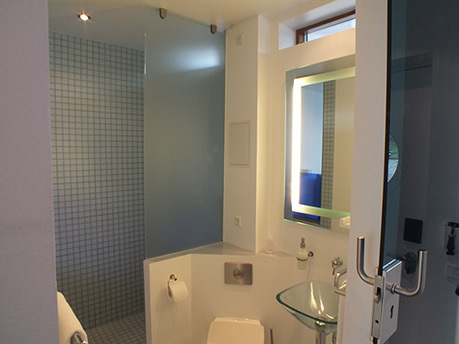 In order to draw the view of the harbour into the bathroom, rooms are equipped with a large window made of blue glass between the shower cabin and the room – so that you can see the water and the city while you shower. Curtains at the windows are almost invisible when folded, but when drawn, they blind the whole window. A frosted plate may be placed on the round window in the room door to block view into the room without blocking the daylight. 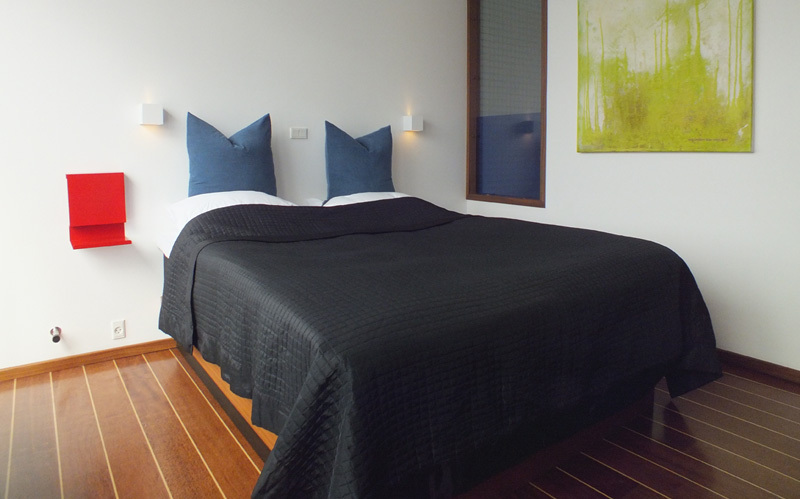 The paintings in all rooms are originals created by hotel co-owner Hans Henrik Pedersen. Their colours and themes relate to the hotel’s association with the city and the water environment. All rooms have TV, wifi access, heated floors, and a hair dryer. Hotel CPHLIVING is a non-smoking hotel. 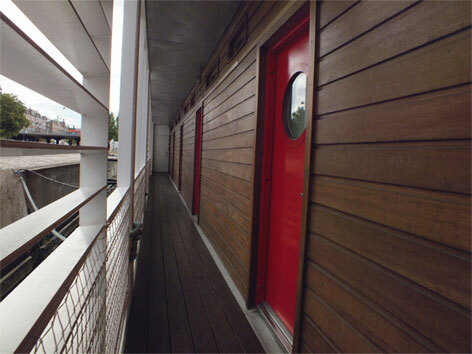 The base of the hotel was originally a barge built in Germany. 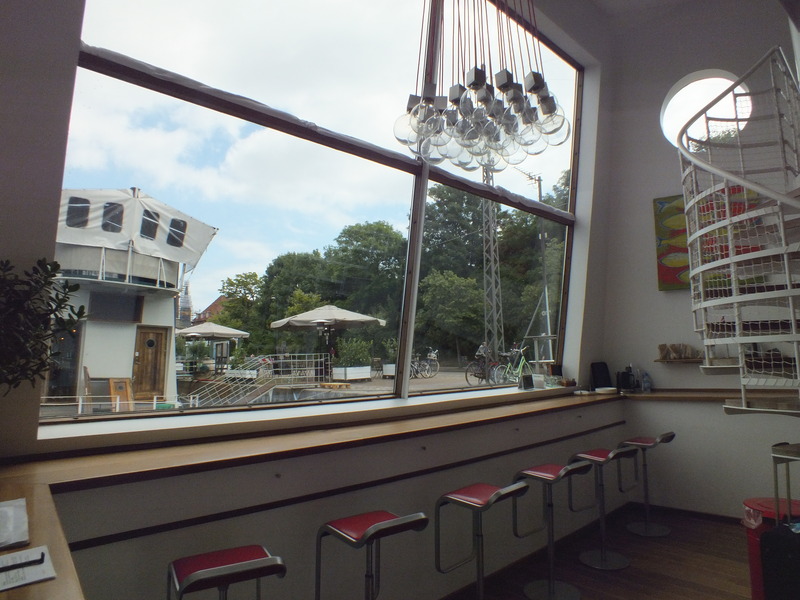 Much work has been put into transforming it into a hotel of a high standard. First, the barge was towed from Germany to Poland, where it was extended by several meters. 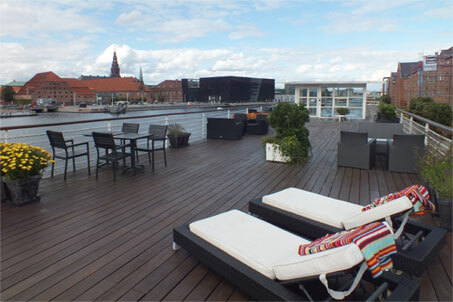 Then the barge was towed to the Loksa shipyard in Estonia, where the rooms and the rest of the hotel were constructed. The final tour over the Baltic Sea took place in the spring of 2008, after which the boat was placed at its current position at the quay in Copenhagen's city centre. 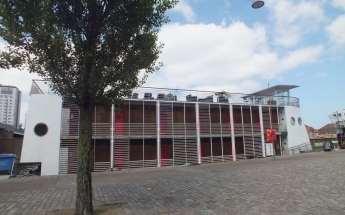 One year later, Hotel CPHLIVING was completed as it appears now, and it was opened in 2009. The hotel has reduced its CO2 emissions considerably through the use of a geothermal heating system – a heat pump extracting heat from sea water. 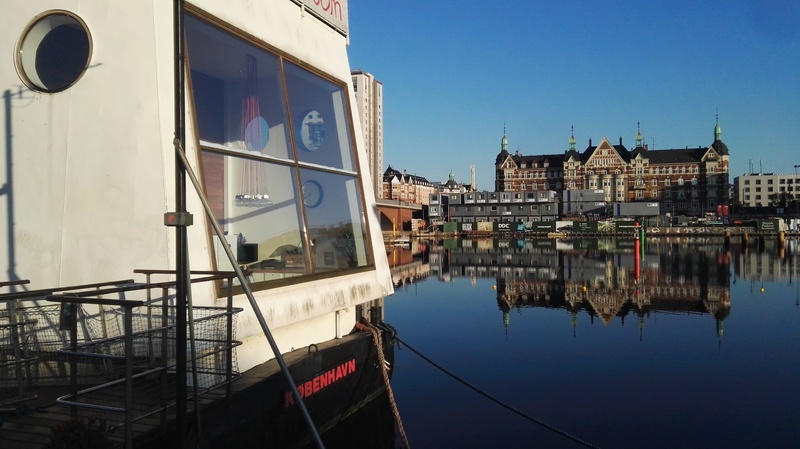 Denmark's first floating hotel is privatly owned by Lasse, Marianne, and Michael – who run the hotel as part of their family business - together with Henrik and Hans Henrik, who run the hotel alongside their daily occupation. 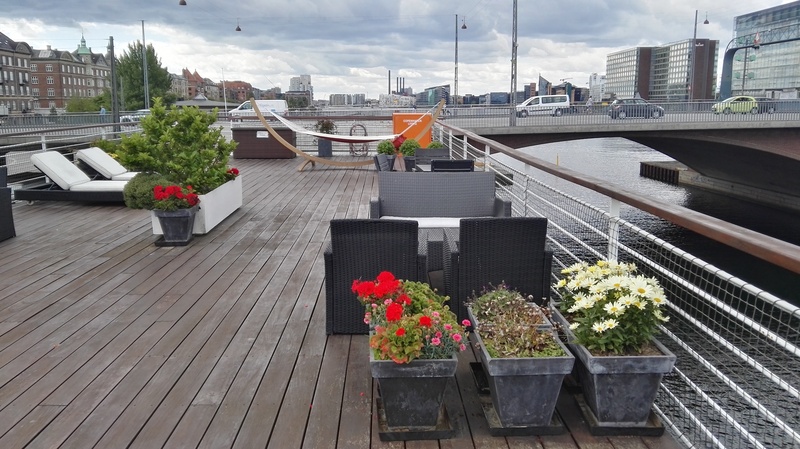 Guests will meet us when we operate CPHLIVING on weekends. Morten is the daily manager of CPHLIVING. He is married to Rose, and they run the hotel on weekdays. 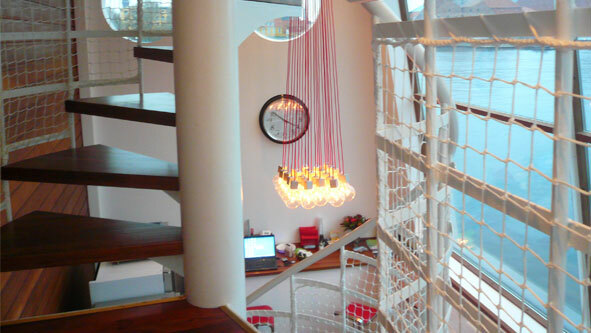 Hotel CPHLIVING is intended to provide a unique hotel experience for the guests. 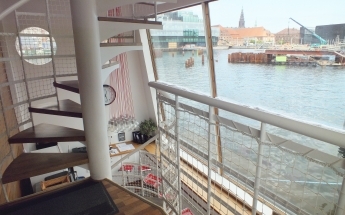 As owners, we have a common wish and a dream to make this unusual small hotel boat a place where our guests will feel relaxed in a stylish maritime atmosphere in the middle of Copenhagen. Double room, 1-2 persons, including breakfast: from DKK 1,380 / € 185. When you pay at the hotel, we accept the following credit cards: American Express, Maestro, JCB, Mastercard, VISA, VISA Electron, VISA-Dankort and Dankort. If you cancel your booking at least 48 hours prior to scheduled arrival, you will not be charged for the room. If you cancel your booking later than 48 hours before scheduled arrivel, you will be charged the room rate in full. Check-in time is from 2 pm. Check-out time before 10 am. 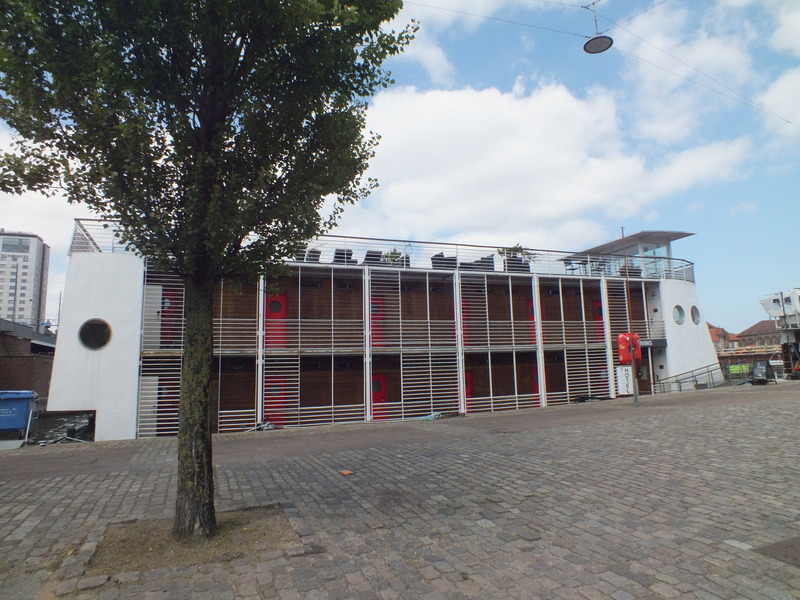 If you want to check in late (after 6 pm), please contact CPHLIVING. We offer our guests a free, basic breakfast in the reception area, where free coffee and other hot drinks are also available at any time. You are also invited to use our fridge for the storing of your own food and beverages as you please. A free wifi connection is available throughout the hotel. We also offer bikes for rent. If you arrive early before check-in, you are welcome to store your luggage with us at the reception. 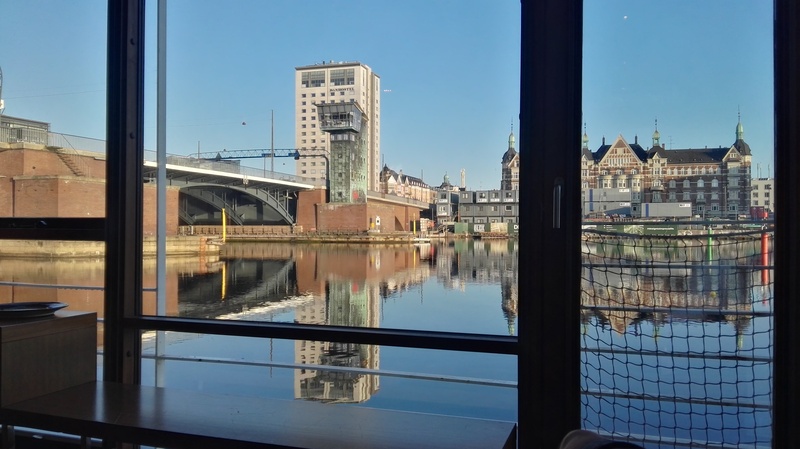 By metro it takes 12 minutes to Christianshavn Station, then a 10 minutes walk. By train it takes 14 minutes to the Central Station, plus a 15 minutes walk. By bus 5C, get off at Klaksvigsgade - it takes half an hour. By taxi directly from the airport, approximately DKK 250. There is public parking on the street in front of the hotel. Pay by purchasing a ticket from the parking machine. Weekdays 08 am - 0 6 pm 19 DKK per hour. 06 pm - 11 pm 13 DKK per hour. 11 pm - 08 am 5 DKK per hour. Saturdays 00 am - 08 am 5 DKK per hour, 08 am - 05 pm 19 DKK per hour. 05 pm - 00 pm free.